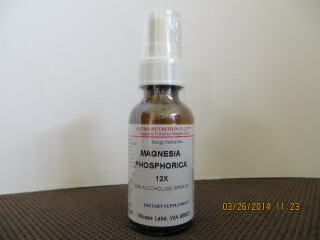 Magnesium Phos is a wonderful remedy for muscle spasms. Use Magnesium Phos for tight painful muscle, whether in the back, leg, abdomen or calf. Magnesium Phos is used for spasms, cramps, seizures.